There is only 41 days till Christmas and I am hoping that I’m not the only one who is going into panic by this thought? I feel I have every reason to panic though as this year is the first time I am ever throwing Christmas…*gulp* and for 6 people *double gulp*. If you are anything like me (especially when it comes to food) everything has to be just right. The stress is already kicking in so I am trying to get organised as early as possible. Silly things on my list include counting the cutlery, yep, only moving into my own home this year I don’t think I quite have enough cutlery yet – if it’s your first Christmas too, check you have enough. I have got a table cloth, enough plates, bowls and candles ready, and now the Christmas pudding, Yipee! Being organised does help relieve the stress, so here’s a helping hand with a recipe with a twist I have created with Waitrose that you can make now and keep till Christmas (I wish I could do that with all the food prep). The ingredients list may look scary but this is such an easy peasy pudding to prepare, all you need is time. This fig, orange and almond pudding isn’t your ordinary traditional pudding, slightly more sticky, indulgent, with a burst of orange, and luxurious almonds. It is a great way to finish your Christmas meal. I decided on the flavours down to my picky boyfriend. Like my Dad, he isn’t over keen on dried fruit, especially currents. This time of year I know he loves oranges and Clementines and he is always snacking on almonds. When I was trying to think of traditions at Christmas time two things came to mind. Firstly, Figgy pudding. We all sing the song about Figgy pudding but figs have seemed to be forgotten about at Christmas time. Secondly, stir up Sunday, a tradition where you make your Christmas pudding and everyone in the family takes a turn to stir (apparently it’s the stirring and soaking that make a Christmas pudding). 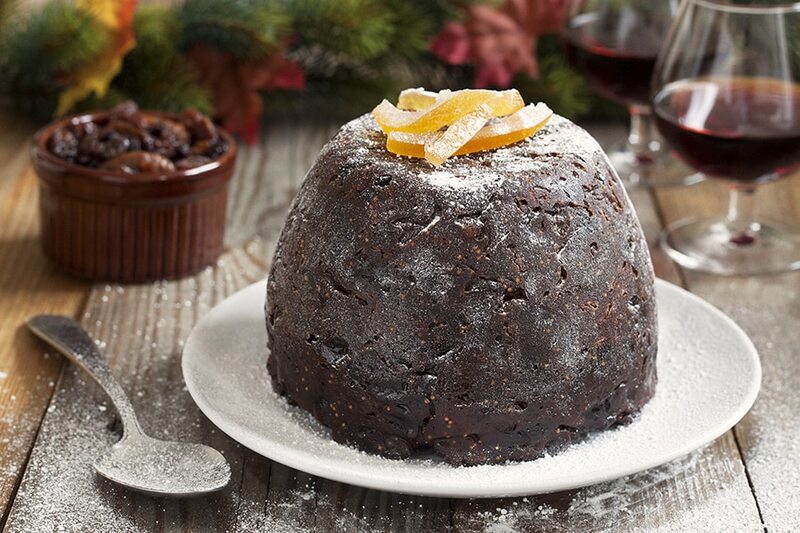 So there you have it, a traditional yet modern take on classic Christmas pudding. 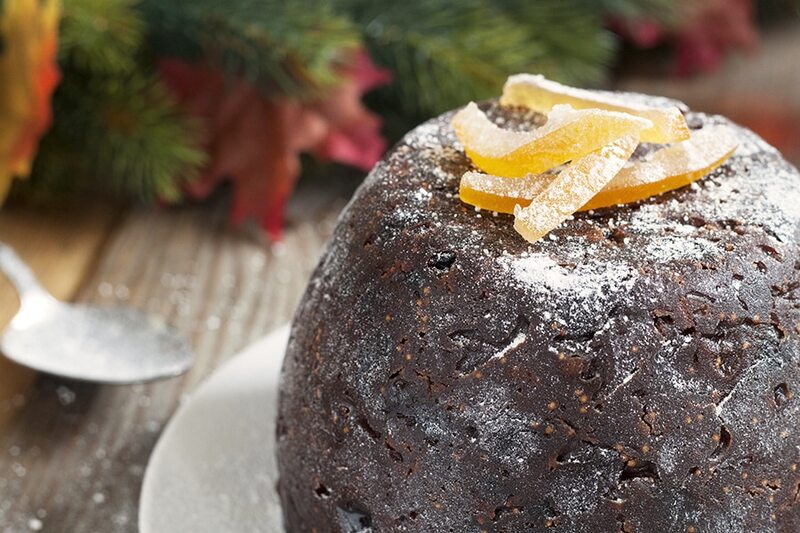 If this doesn’t take your fancy check out some more alternative Christmas Pudding ideas on the Waitrose page here. Not in the spirit of Christmas yet? Just wait until you smell this pudding in the making, it is divine. In a bowl mix together the sultanas, raisins, currents, chopped dried figs, candied orange peel and the zest of one orange. Pour over the Cointreau, dark rum and juice of one orange. Give it a really good mix, cover the bowl and leave over night (I continued to mixed the soaked fruit everry now and then, before bed and as soon as I woke up). In the same bowl add the suet, breadcrumbs, mixed spice, dark brown sugar, chopped almonds, flour, eggs and nutmeg. Give it all a good mix. Finally add the 2 remaining juices of orange and the zest. Again give it all a good mix. I left this mixture covered and in the fridge over night, you can do that or you can cook straight away. Line a 2 pint pudding bowl with butter and a little grease proof paper at the bottom. Before tipping your mixture into the pudding bowl, make sure it is a sloppy consistency. Add a dash of Cointreau to loosen it up if needed. Pour in your mixture making it nicely packed in to the bowl. Cover the bowl with greaseproof paper and tin foil. I tied mine with string to make the cover secure but some pudding bowls come with lids. Put the pudding into a pan of hot water (about ¼ full - so it is touching the outside of the pudding bowl) and steam cook with a lid on for 5 - 6 hours. Make sure you check that water does not evaporate and top up when needed. Once cooked, leave to cool and change the lid (a new piece of tin foil will do). 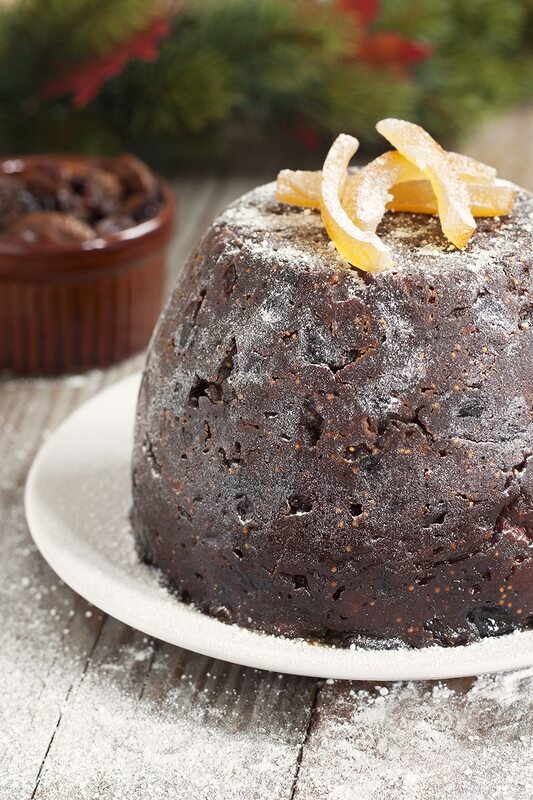 Your pudding will keep for around 2 months until Christmas. Heat up the same way as you steam cooked it for around 2 hours. Enjoy with lashings of orange flavoured white sauce.